A huge thank you to Abby James, lead ASFS Special Education teacher for an informative and engaging presentation at our February 5th PTA meeting! 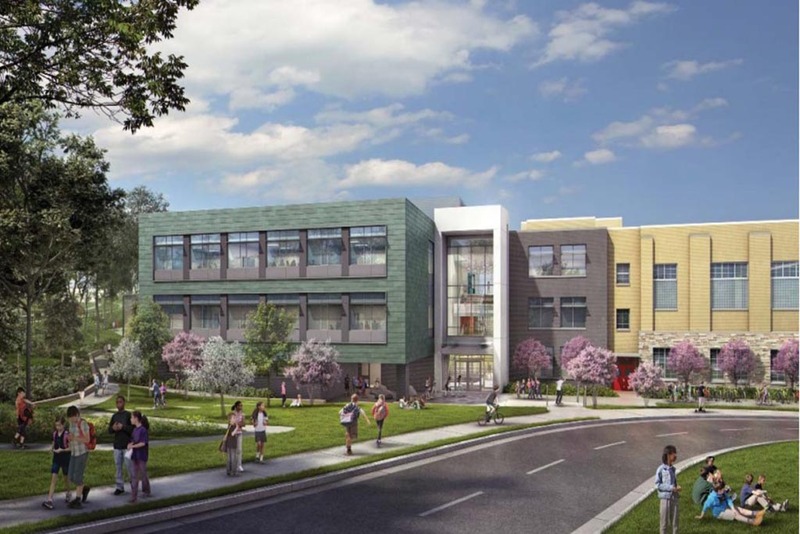 If you missed it, here are links to the materials: Special Education at ASFS an Arlington Parent Resource Center Overview. And congrats to Ms. Holston's 3rd grade class for earning an extra recess for the highest parent attendance, for the second month in a row. Next week, hope to see you at ASFS STEM Night on Wednesday, February 13th from 6:30-8:00pm - one of our most highly anticipated family events of the year. Thanks to Ms. Lin for all her hard work and coordination and to all parent volunteers. We still need more help if you can sign up to volunteer - pick a shift that works for you to make the night a success. It's a lot of fun and a great chance to provide hands-on support for the kids! To make it easier for everyone to join us, we now have babysitting & parking available for the 2019 ASFS Auction! BABYSITTING: Girl Scout Troop #5613 will be hosting a "Kid's Night Out" babysitting event at ASFS on 2/23 from 6:30-10:30 (extend to 11:30) for parents who are attending the auction. Your kids will love playing games in the gym and watching movies with their friends. To have your kids join the fun, please complete the babysitting form and return to the ASFS office. Pre-registration ends on February 18th - sign up now to guarantee a spot! Spaces available on a first-come, first-serve basis after February 18th. If you have questions, please contact Danielle Erkmann (co-leader of Troop #5613). PARKING: Validated parking will be available nearby. Clarendon Ballroom is also right across the street from the Clarendon Metro and a short Uber ride from home. ATTIRE: If you want to get festive, Party City and Amazon have some 1920s costumes available! Otherwise, come dressed in whatever you are comfortable in for a fun evening out. This Saturday, February 9th at 10:00am, the SCA is hosting the ASFS Dog Walk! This is the first community service project of the year for the Student Council Association, and you don’t want to miss out on the fun! Meet at ASFS for a walk around the block followed by activities, such as a best trick contest, a peanut butter race, a chance for a family portrait, and other activities for the dogs. Bring your dog! Bring your friends! Bring your friend’s dog! Don’t have a dog? Come walk anyway! Please contact Ms. Taylor with any questions. Thank you for your support, and hope to see you at ASFS tomorrow! We are off to an amazing start! 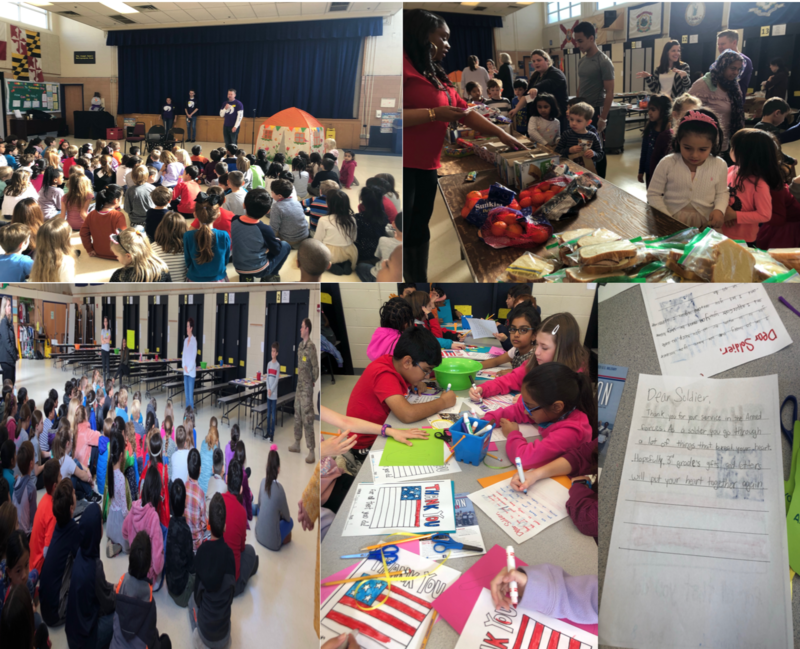 K-3rd grades have made some wonderful designs and crafts with their hands to fill the hearts of local homeless people and deployed U.S. military troops. The Three Little Pigs skit was performed by A-SPAN to help kindergarten and 1st graders understand how someone could lose their home. A-SPAN was thrilled to received 111 bagged lunches, 30 boxes of cereal, $640 (almost ALL in coins) and 697 bars of soap and shampoo!!! All of this will go a long way to help our local homeless community. 2nd and 3rd grades had two special guest speakers: Dyan Smith, Founder of Operation Turbo, and Lieutenant Colonel Jon Merrill, aka Andrew Merrill's dad. Dyan spoke about how Operation Turbo came to be and Jon shared how special it was to receive care packages and notes from kids while deployed in 2014. The kids wrote letters and created "hugs" to mail to the troops along with donating over 200 lbs. of goodies - toothpaste, granola bars etc- for their "Boxes of Home" care packages. Operation Turbo will pack the boxes and supplement goodies beyond what was collected. 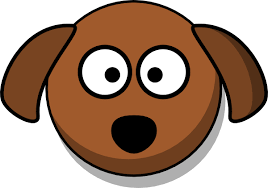 We will wrap up the week with 4th and 5th grade projects, Lost Dog and Cherrydale Health and Rehab, respectively. Watch for posts from these events in next week's eFF. Overall, we are helping several charities and the students seem to really enjoy having these hands-on projects. We hope the students realize community service can be helping a larger group or it can be helping your neighbor who is hungry or even the new kid at school who has no one to play with. Supporting your community - weather a friend or a foe- takes many shapes and really develops the character of each one of us and thus the community. Sign-On Parties - On Sale After STEM Night! Manicure with Your Teacher? Painting Party? Picnic in the Park? Give your child the gift of a special experience with one of their teachers with an ASFS Teacher Experience. Bidding on ASFS Teacher Experiences begins on Friday, 2/15 at Noon; The Online Auction ends on Saturday, 2/23 at 10:00pm. You can sing any song you'd like, but make sure it's at least 20 seconds long. A mention of fingertips and in between fingers is a plus! Remember, antibacterial soap also kills good bacteria, so keep to a minimum. We may feel thirst less frequently in winter, but how about that dry skin? Don't wait to feel thirsty, stay hydrated with plenty of water and warm, caffeine & sugar free fluids to keep things (including germs) moving. Our go-to favorite is warm water with some fresh squeezed lemon and a pinch of anti-microbial honey to feed that sweet craving. What's yours? *Keep these important tips in mind as you prepare for your Valentine's celebrations in the classroom. Go to agsafastpitch.com. Click on the banner "AGSA/SAGE PROGRAM Registration Now Open." 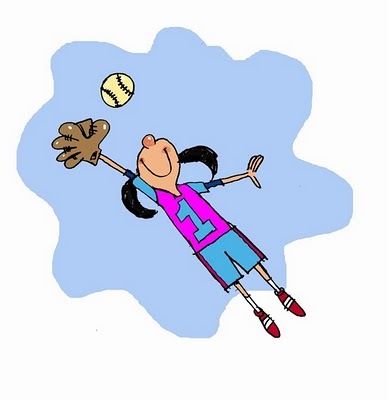 Log-in and Register, and Prepare for a Great Fun Filled Season of Girls Softball! Try out exciting, hands-on engineering experiences and talking with professional engineers of all kinds. You can: DESIGN a motorized bot to walk across a table, CONSTRUCT a building that can withstand high winds, LAUNCH a ping-pong ball into the air, MIX slime, CODE secret messages, MEET an astronaut, and MORE! Click here for more information.